Gosh! my first blog tour…..!!! 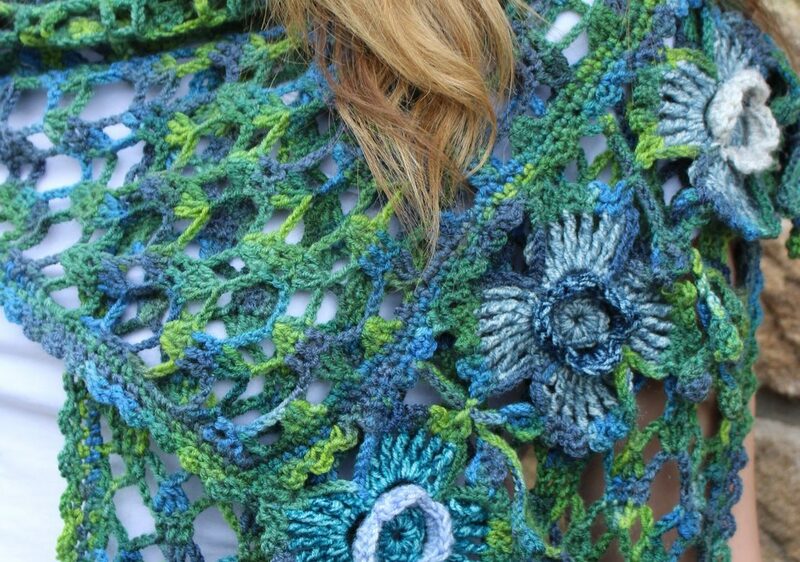 Anyway back to today project, I gave it a go and I hope you will like my scarf it is called “Spanish Moss”. I got one of my daughters, Valentina, to model it ,so you can see it on an actual person and not on the floor or a table. As you know, back in July, at the Blogstars meeting, we all got the opportunity to pick one of the packs of BATIK and BATIK ELEMENTS to make something with. 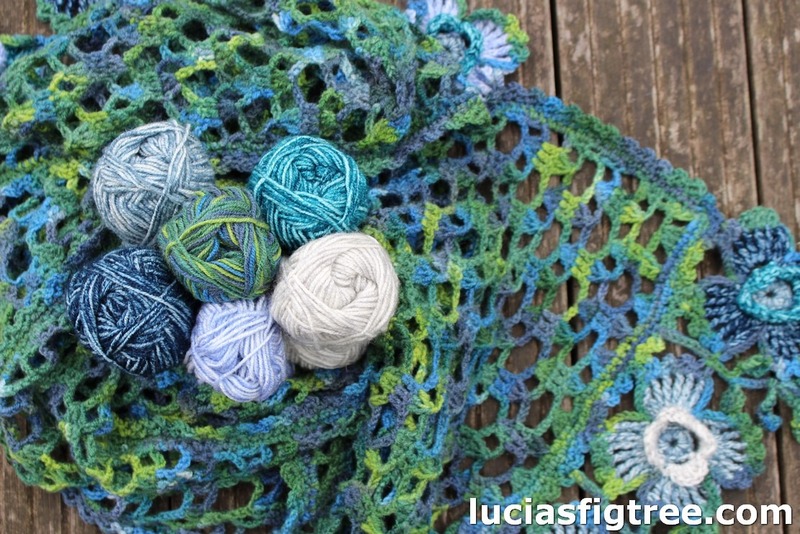 The colours are fabulous, it is a great yarn to work with, one of my overall favourites, I have to say, in fact, as you know, I have used Batik a lot in the past months, not only alone but in combination also with other yarns like Cotton Classique and Special DK. So do you want to know how the scarf came about? As I like to share with you the creative process I also have to say that has not been the smoothest of all experiences. Nothing to do with the yarn which I LOVE but all to do with ME!! I do panic when I get told that I have a limited amount of yarn to use and also when I get told what colours to use…500 grams in the big scheme of blankets production is a minuscule quantity , I use at least the double, sometimes even 3 times the quantity so after few failed attempts to conjure a blanket of some sort I had to give up and make something else..so..here as a testimony how creating a pattern out of the blue is not that simple (for me at least )… a small selection of loads of debris…!! 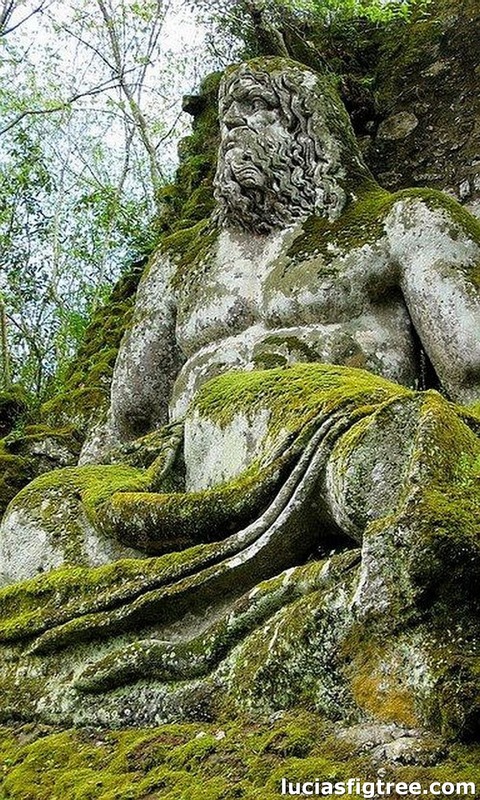 Back to inspirations…during the summer I went to visit a couple of places that are very dear to me, one is the Bomarzo’s Gardens, near Viterbo in central Italy. A strange and fascinating garden build by Pier Francesco Orsini in the 16th century, full of bizarre and fascinating sculptures , statues covered in moss , strange crooked buildings and a huge monster mouth (known as “the mouth of hell”), inside which, on the tongue, stands a picnic table where you can have lunch. 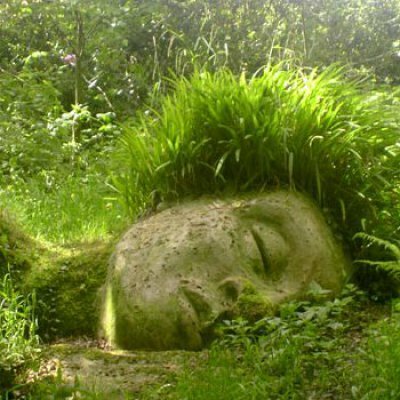 or indeed something that you might be more familiar with: the beautiful Lost Gardens of Heligan in Cornwall. 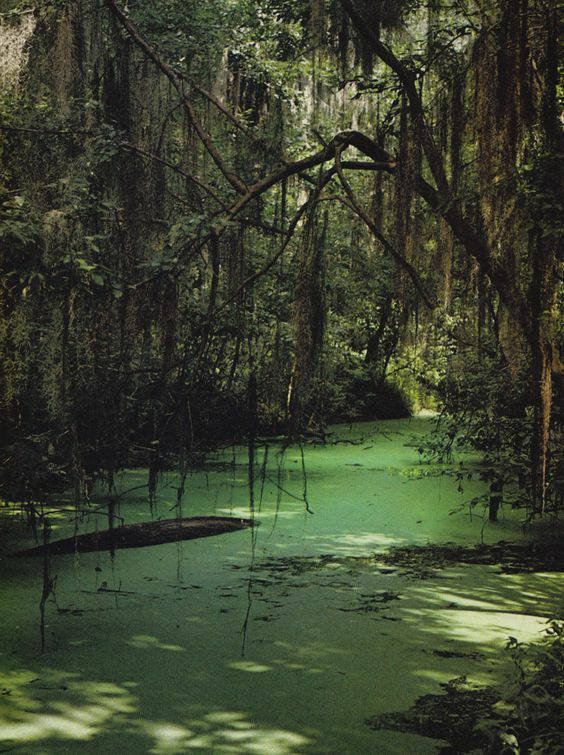 On the unsettling theme, one of the places that I haven’t visited but do fascinate me are the Swamps of the Southern States of America like Great Dismal. Somehow the changing colours of the Batik Krypton reminded me of the variegated colour of the moss, the one I am familiar with, in Bomarzo, La Verna and Heligan and the so called “Spanish moss” that I have just seen in documentaries hanging down from some ancient cypress trees in the Lousiana’s bayou. 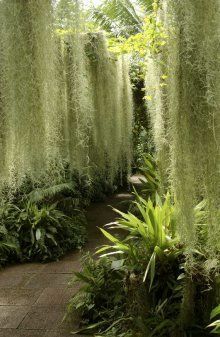 the picture of the Spanish moss is from the Botanical Gardens in Edinburgh. I wrote the pattern for you to try if you like. 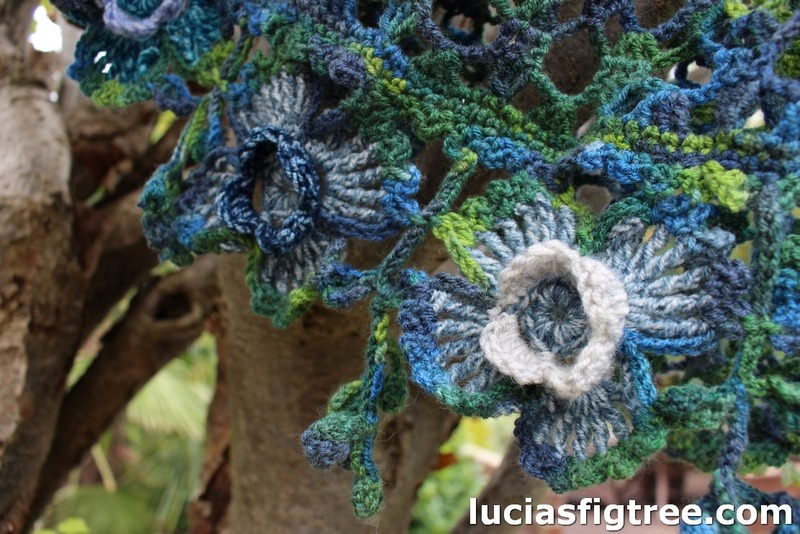 then some 3D strange flowers, which I made using some of the other colours available in the pack, plus some “dangling bits” my attempt to imitate the Spanish moss. I used most of the Krypton available in the pack and a bit of the other colours. I was tempted to make flowers all around the edge of the scarf but I estimated that I wouldn’t be able to manage to do so with the quantities in the pack so instead than having a few sparse lonely flowers hanging about on the longer sides edge I opted for 8 flowers huddled up together at the two extremities of the scarf. I am sure you can use for any of the amazing projects that the rest of the Blogstars have made so far and in the next few days! The great thing is that, by the time the Blog tour is over, you will have 16 different projects to choose from!! and you will find for sure one that appeals to you! I absolutely love this. Thank you so much. And the accompanying blog was so fascinating. I now want to go to all of those places! 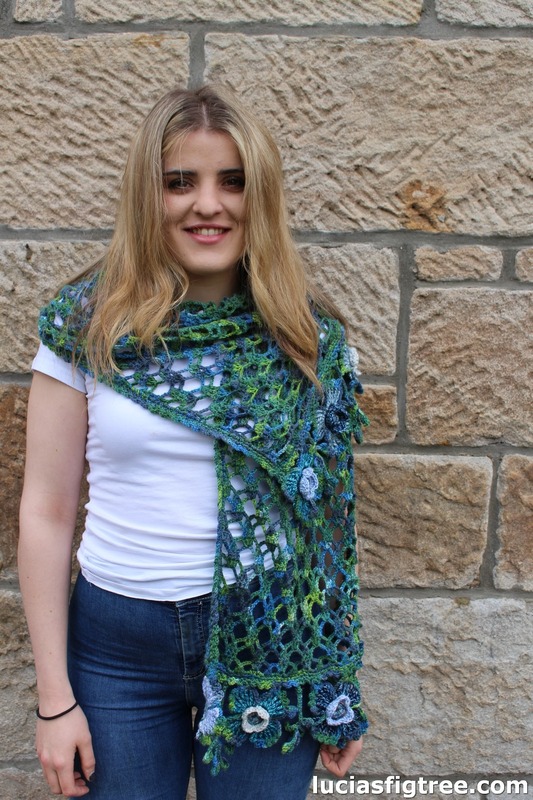 A beautiful scarf modelled by a beautiful daughter. You are so clever. Beautiful pattern, beautiful colours, beautiful model !! Love it! Showing us a different way to use these new yarns. 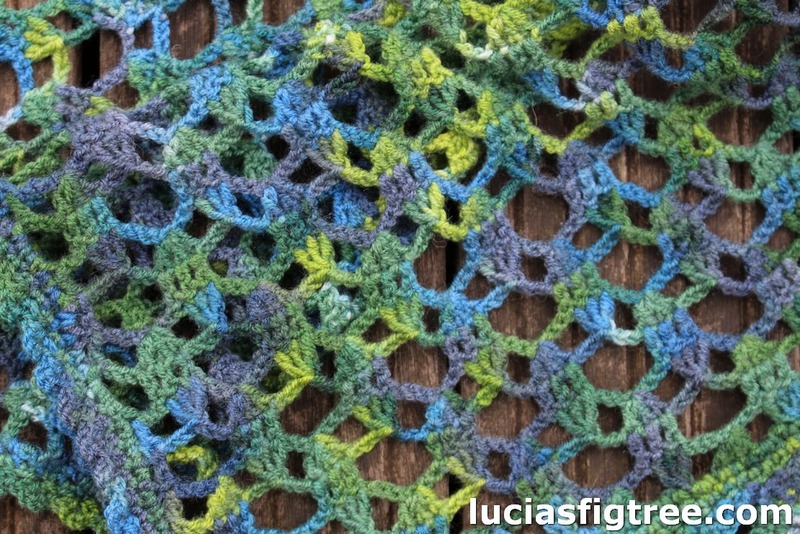 What a beautiful scarf, I wonder will it become a workshop sometime? I absolutely love these colours! 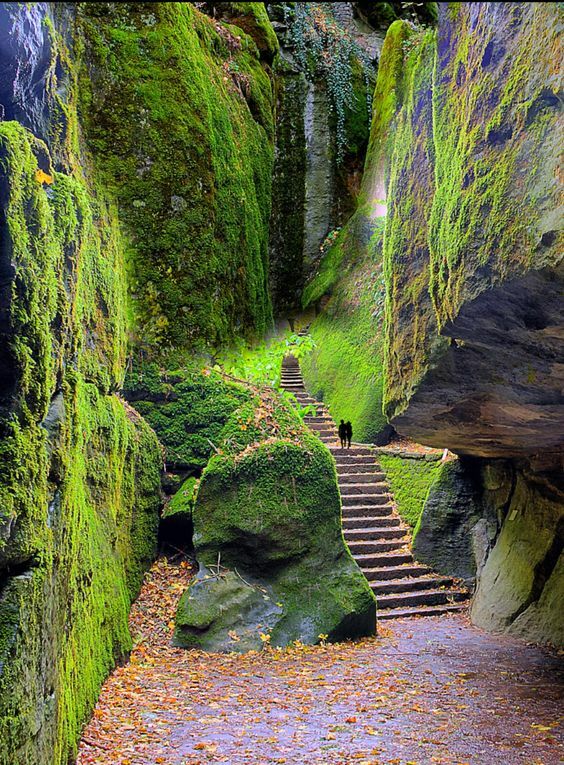 My family love Bomarzo Park in Italy too, it’s an amazing place! This is a lovely design. I loved hearing about your inspiration for it. 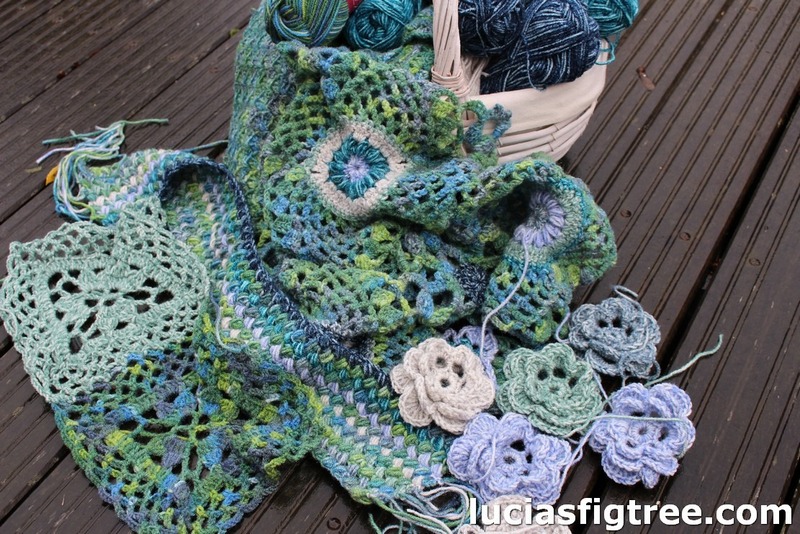 Really love all those shades of blues/greens/mauves in the selection of batik yarns and a lovely design to go with it. I read your blog and now the scarf is so much more beautiful, then it already is. Stunning design, showcasing these colours beautifully. Love your photographs to go along with the post too. Your model is fabulous, and wears the scarf so well. This is an absolutely beautiful design. Great job. I think you may be too modest. Visiting from Lucy @Attic24. I enjoyed reading this post. Have never heard of any of those gardens but I have visited the southern states’ bayous…. your wrap is lovely and I especially like the flowers on the two ends. Fantastic job! 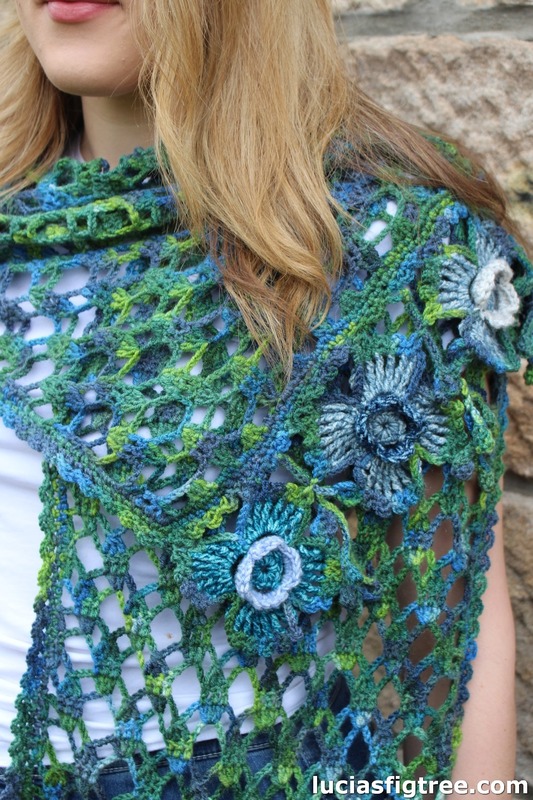 I fell love with this scarf, so bought the yarn pack, I am rubbish at reading patterns, so will need to start a test piece for the main part. Looking forward to the challenge. As always, your design is absolutely stunning (and beautifully modelled!) Thank you for sharing your wonderful creativity.